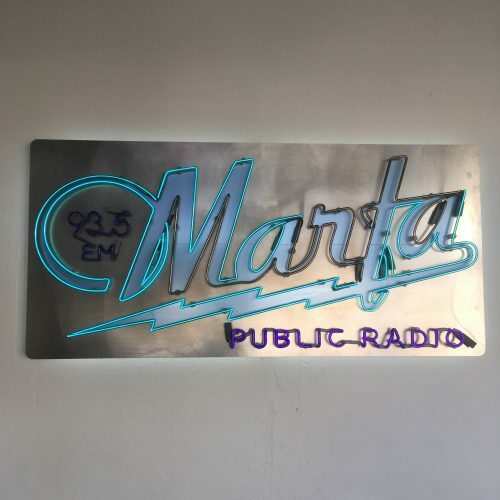 The overall excellence submissions for Marfa Public Radio feature a range of voices and topics. From the soaring Ponderosa Pine of far West Texas to the frac sand mines in the Permian Basin, Marfa Public Radio reported on a wide range of stories in 2017. Foreign-owned assembly-line factories known as maquilas that line the Mexican side of the border from Tijuana to the Gulf of Mexico have been bracing for change since the election of Donald Trump. But not in the way you might expect. They don’t fear the possibility of the U.S. withdrawing from the North American Free Trade Agreement, NAFTA. Instead American maquila operators want NAFTA changed, saying the current version gives Mexican exporters to the U.S. an unfair advantage. Lorne Matalon reports from one of the the largest concentrations of maquilas on the border, across the Rio Grande from McAllen in South Texas. There’s a natural resource sitting above ground in oil-rich West Texas that’s in high demand this summer. Millions of tons of it, in fact. A field of sand dunes extends 200 miles in a crescent from New Mexico through the booming Permian Basin. Now the oil industry has taken a special interest in this sea of windblown formations. Marfa Public Radio’s Sally Beauvais has the story. Adobe is one of the most humble building materials around: it’s essentially mud, water and straw, shaped into brick, and dried in the sun. But if you own an adobe home in Marfa, you may have seen a BIG jump in property taxes this year. Bayla Metzger has more on the cost of owning one of these earth-material homes. In the Davis Mountains of far West Texas you’ll come across vegetation and animals you’d be hard pressed to find anywhere else in the state. Take for instance the The Rocky Mountain Ponderosa Pine, a soaring tree that’s only found in two other areas in Texas. But in the Davis Mountains, over the last decade, 75 percent of the trees’ population has been lost. Now, scientists and foresters are attempting to save the Ponderosa. Our series, “Voices of Blackwell,” is a partnership with the Blackwell School Alliance. The segregated institution was open from the late nineteenth century and closed in 1965 with the integration of schools in town. The final story we hear comes from Jessi Silva. She attended the school in the first grade, before moving to California. She returned to Marfa in the sixth grade. Diana Nguyen brings us her story. Nuclear Waste is a problem that’s been looming over the country for several decades. Unable to find a permanent geological repository for the toxic stuff produced by nuclear power plants, the federal government began looking for communities that would be receptive to temporarily housing the waste. Andrews was one of the towns that stepped up. Diana Nguyen reports. This entry was posted in KRTS News, KXWT News and tagged Murrows 2017. Bookmark the permalink.